My Father was a very entrepreneurial person, and one lesson he worked to instill in me is to "Never stop looking for work." Just because you're busy now, doesn't mean you will be in 6 months. You can never stop promoting yourself, if you truly want to remain busy. 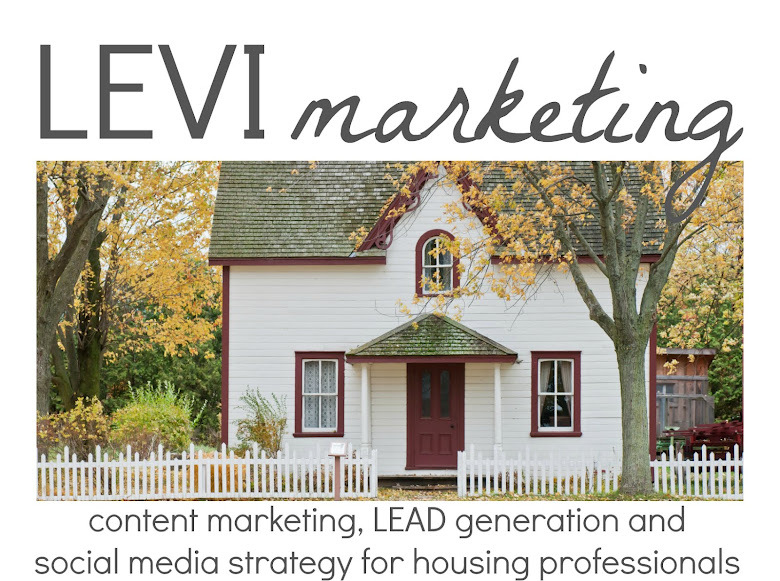 At a recent networking event, a fellow marketer said to me, "You specialize in construction and real estate marketing? You must not be doing well. 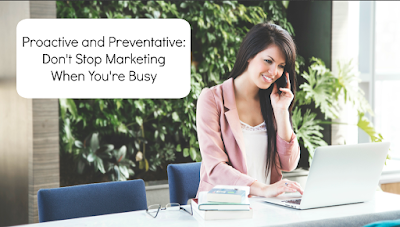 Those industries are busy right now, do any of them actually hire marketing people anymore?" When you're busy and have active word-of-mouth, you have consumers as a bonus part of your marketing team who want to share what you're putting out there. Using that momentum by engaging with those raving fans allows all of your efforts to reach farther. In other words, when you're already busy, you can put the same efforts into marketing as when you are slow, but with higher gains. Take an example from a company I observed a few years ago: At one time, they had a rather decent monopoly on the Vancouver and Burnaby power tool markets. This was around the same time that social media really developed as a streamlined advertising tool. They made the decision to continue with mailed flyers, as these had worked well for them in the past, and neglected both a website and social channels. Their competitors, however, began to utilize Facebook and Twitter to advertise sales. It took less than a year for this company to begin seeing tragic declines in their foot traffic during sale weekends, and the store began running at a deficit. At this point in time, their competition already had a loyal following of raving fans online. This company had yet to steal back any of that loyalty 2 years later, despite having hired an in-house social media manager. There are two things they did wrong in this scenario: 1) They stuck with what had always worked for no reason other than "it has always worked," rather than continuing to educate themselves and adapt to market trends and consumer habits. 2) When they did try to adapt, it was in desperation, and they failed to spend the time on market and competitor research to see how they could effectively reclaim their territory. In contrast, a company I worked with earlier this year was enjoying a growing reputation when we began working together. Adding a social media presence to their strategy allowed their less-busy locations to feed off of the portfolios of the more successful ones, and within 5 months over 150 potential prospects had taken action to contact them through social media. There is security (and let's be honest, a touch of prestige!) in having a wait list. Remember the saying, "Work smarter, not harder"? Staying busy, is easier than becoming busy. Market research is easier when you have active clients to learn from. Strategizing is easier when you have consistent traffic to give you feedback, and you feel secure enough to really listen to it. Don't wait until you're slowing down to consider building your brand. Build your brand when you have a roster of amazing clients who will remember you, and refer you. Sustainable business is successful business. "The most successful thing I did was stop considering Pinterest as a social media platform and start thinking about it as a search engine. 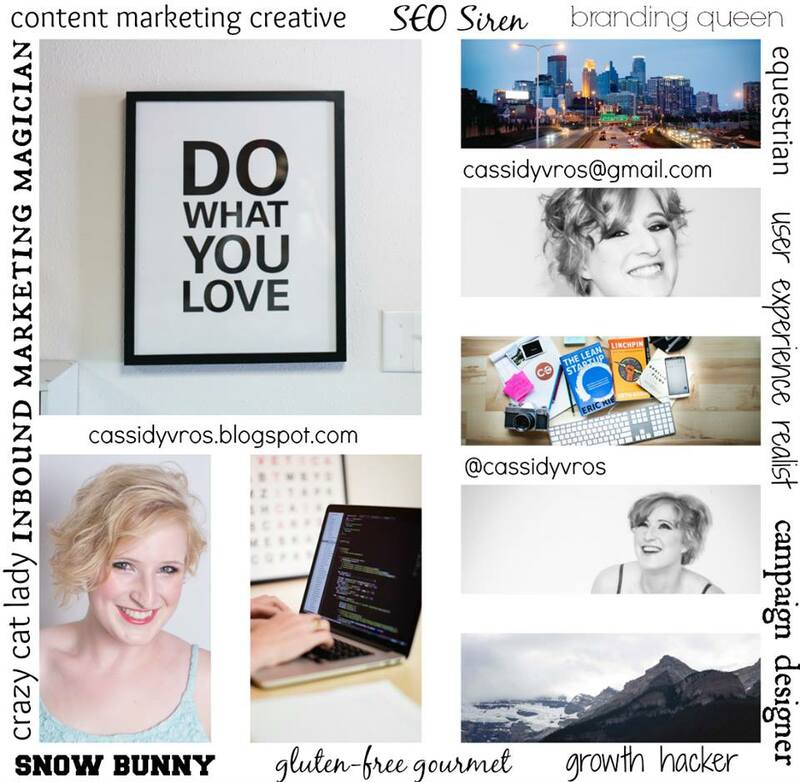 For years, I was applying search engine optimization (search engine optimization ) to my blog posts and getting more traffic from Google, all while blowing off my Pinterest accounts within an afterthought. One day it clicked: Imagine should I use the same approaches on Pinterest that I am already using to get organic visitors from Google?" Melyssa explained.